It’s going to be one hot summer! At least that’s what I’m hearing. Everyone knows how the Colorado sun can heat things up, and it typically does. We humans also know what precautions need to be taken on those hot, sultry days. Sunscreen, plenty of water, etc. etc., you know what to do, but do you know how to protect your pup? Our canine companions can experience negative effects from the heat, just as we do, but there are ways to keep your pup cool this summer. Following these tips can help your fur baby beat the heat. Preventative maintenance – Not just for autos, folks! Our doggies need preventative care, too. In this case, I’m talking about precautions against fleas, ticks, and other parasites that rear their ugly heads as temperatures rise. Make sure your pup is protected. More water, please – Aside from panting, drinking water is about the only other way a doggie can cool down. It’s important to provide fresh water throughout the day. The doggy paddle – Let that doggie swim! A kiddie pool is an inexpensive investment that most pups will appreciate, especially in hot weather. A wet dog is way cool! SPF 30 – Yes, our fur babies can sunburn, just as we do. If your canine has short or light hair, it’s a good idea to talk to your veterinarian about sunscreen (our version just won’t do). The obvious – Never, never, never leave your dog in a hot car. The outside temp may be hot, but that automobile is much hotter. It takes no time at all for a dog to suffocate. It’s ok, leave him at home. Throw some shade – If your doggy must be outside for any length of time, make sure there is adequate shade. She may sunbathe for a bit, but she’ll want a cool spot to sit in once she’s finished.Following these tips will ensure that your canine companion has a safe and happy summer. And if you need any assistance with your pup’s poop removal, don’t forget to call Scoopy Doo’s of Boulder County! Hire a Dog Poop Service to Lighten Your Spring Cleaning Load! Spring has arrived! The grass is turning green and the crocuses are blooming! Along with these welcome sights, you may also be noticing some unpleasant reminders of what was neglected over the winter- brown piles dotting your yard, local parks and favorite walking paths. Did you know that the Environmental Protection Agency rates the pollution level of pet waste as equal to herbicides, insecticides, oil, grease and sediment from mismanaged construction sites? These nonpoint source pollutants enter waterways from broad, generalized areas and drastically lower the water quality. Rain or melting snow collects pollutants as it flows across lawns and sidewalks into storm drains which dump directly into creeks and rivers. Keep our local water clean by hiring a dog poop service like Scoopy Doo’s of Longmont to ensure pet waste gets disposed of properly! Pet waste that is not picked up can enter our waterways without being treated at wastewater treatment facilities. This untreated waste contains nutrients that can cause excessive algae and weed growth that hinders recreational water activities, such as swimming, boating and fishing. The health of people is at risk too due to the possible bacteria being harbored within pet waste, including salmonella, roundworms and toxoplasmosis. Fish and other aquatic life can die if the level of ammonia released by decomposing waste gets too high combined with lower oxygen caused by decomposition. Spring is an especially hard time for stream ecosystems to deal with all the decomposing organic matter and road salt applied during winter. Easing the burden of our local waterways by hiring a reliable dog poop service like Scoopy Doo’s to remove polluting pet waste from your yard or neighborhood common areas is an easy and affordable step to take. And if you’d like to contribute on a bigger scale, consider participating in Longmont’s annual Clean-Up Green-Up campaign on April 7th to remove waste and beautify our community! Happy New Year! 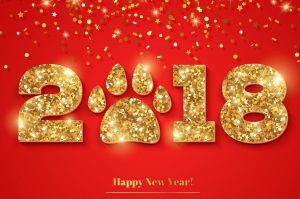 Did you know that 2018 is the Year of the Dog? While you probably thought about some habits you would like to change or goals you would like to achieve for yourself this year, did you also consider any for your dog? 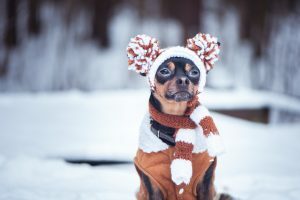 On PetMD, Dr. Jessica Vogelsang offers the following ideas to improve the health and happiness of your pet this year. 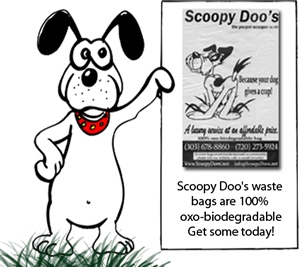 Scoopy Doo’s goal for 2018 is to continue to provide the most affordable and reputable dog waste removal service in Longmont! Measure their food– With 50% of pets in the U.S. classified as overweight, using a measuring cup to give your pet only the recommended amount will ensure they stay at a healthy weight. Puzzle feeders are a great tool to keep your dog entertained while regulating their treat intake! Try a new activity– Have you heard of doga or skijoring? Both are fun and healthy ways to enjoy time with your pet while you both get some good exercise in! Meet-up groups are another way to fit in physical activity and socializing for both you and Fido! Don’t skip their annual– Yearly veterinary exams are important at every stage of your dog’s life but especially as they age because common issues such as arthritis and diabetes are easier to manage when caught early. Groom them regularly– Brushing your pooch helps keep fur off your clothes and couch, keeps their coat shiny and is a relaxing activity that shows them how much you care for them. Address their oral hygiene as well with water additives, tartar-reducing treats, and the best method- brushing. Teach them a new trick– It’s just not true that you can’t teach an old dog new tricks! In fact, the opposite is really the best advice- studies show that mental stimulation helps reduce cognitive decline in senior animals. Hire a pooper scooper– To enjoy more quality time with your pet and ensure their health as well as your family’s, contracting out dog waste removal is an excellent use of your time and money! 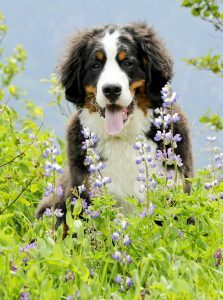 Scoopy Doo’s of Longmont has a long-standing reputation in the community for reliable and affordable dog waste removal service- call us today to check off an easy new year’s resolution!